Don’t you feel excited when you get a hand written letter? From the stamp to the swirls of your friend or colleagues handwriting, there’s nothing quite as personal as a ‘thank you’ that has come straight from the nib of a pen. In this new technological age, where everything is about speed, saving time and using the latest gadget; we’re steering further and further away from some of those traditional mannerisms that allows each person to stand out as an individual. Emails, to some extent, will look the same and are hard to place. 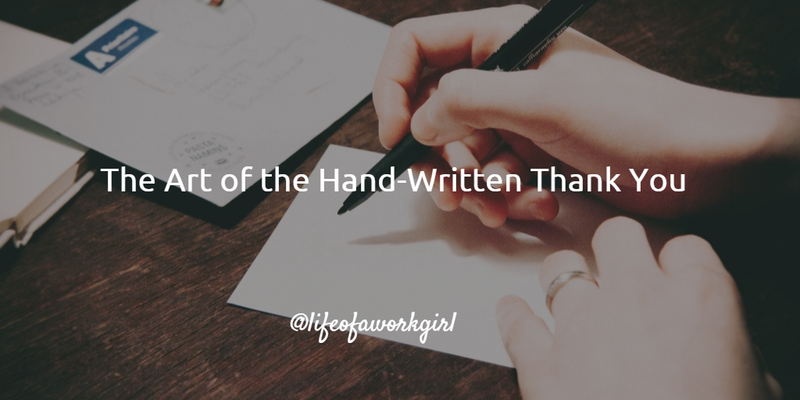 A card, with your own handwriting, can always be firmly associated with the sender. How often do you see Facebook posts of your friends amazing holiday? Yet, when was the last time that you received a post card? Now, which of the two would be more meaningful? A simple ‘thank you’ is more than a mere social obligation. It is a chance to make another person feel truely appreciated, connect with them and distinguish yourself from the digital noise. 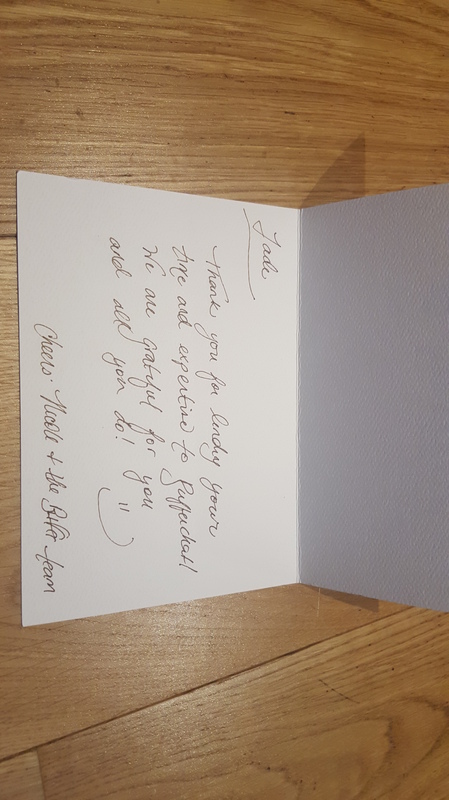 A hand written thank you says that you care. If you’re looking for a way to say you’re grateful and want it to be memorable — here are a few simple steps to take when writing your next thank you note. Sounds simple enough, right? But sometimes it’s very easy to slip into the formality of Mr or Ms. XYZ, instead of just saying Dear Susan. Steer the conversation in the right direction from the very beginning. Your not may be an emotional, heart felt, thank you that is difficult to put into words. In situations like this we often feel that the more we say, the more the recipient will truly understand our gratitude. Singling out a specific moment/memory – if you’re thanking the recipient for a gesture or moment that they helped you, this can give your note some weight. What did they do? Why was this different from what you usually experience? How did it make you feel? Take these questions into consideration and you should have everything you need to create a sound thank you note. Take their personality into consideration – this will help you to a) choose a care that is aesthetically pleasing and b) set the tone. Writing to someone that appreciates a jokes? Slip one in. Just because you’re saying thank you, doesn’t mean that it has to be serious. Like any piece of good writing, you want to make sure that it is clear and error free before sending it off. Clarity is everything — you want this person to walk away knowing exactly how you feel. Bonus – If you’re feeling pretty creative you can also use this as an opportunity to test your handwriting in different pens. Again, in this fast paced digital era, we’ve become accustomed to signing off in very general ways. ‘Regards, ‘Best’ and ‘Yours Sincerely’, are just some of many generic sign-offs that could dampen the ending of your personal note. Try to wrap it up in a way that truly reflects a piece of your character. Maybe mention an event that you’re likely to run into each other with ‘looking forward to catching up at ABC’. Referring to a future event also gives them a chance to keep you in mind! What tips and advice do you have about writing notes? How would you go about saying thank you? Feel free to share your thoughts in the comments section below!